You better hid the scenery, because this guy will chew it up. Seriously, Tim Curry is as close to a live action cartoon character as you can get, but he’s not just wild and funny like Jim Carry or Jerry Louis. While Tim Curry can turn in a variety of fine performances, his real specialty is playing villains. With his manic energy, over the top theatrics and creepy English accent, Tim Curry has played some of the most enjoyably over the top and cartoony villains ever. 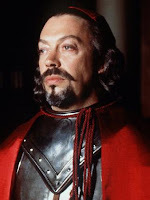 From voice acting in animated TV shows, to scaring audiences as horror movie monsters, Tim Curry has always stood out as one of my favorite villain actors, and here are my personal top 10 favorite villain roles of his carrier. Sense Tim Curry is such a cartoony actor, his talents work especially well when voicing animated characters, in fact half of his resume consists of cartoon characters. 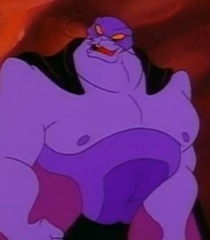 Naturally he’s the perfect guy to voice a Disney villain, and kicking off my list is his role as Forte from the 1997 sequel “Beauty and the Beast: The Enchanted Christmas”. Now obviously the character Forte is nothing compelling, and is often described as a stale bad guy, which he is, but that’s not the point. 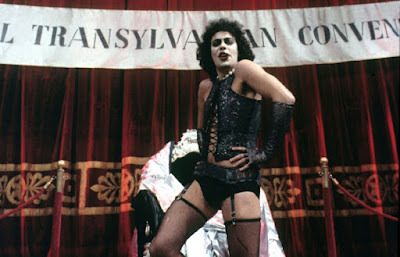 All that really matters is just how wild and over the top Tim Curry’s performance is. He nails all the good stuff in this role, from his deliciously evil personality, to his deep booming voice, his ridiculous outbursts, and he ties it all together with his over blown maniacal laughter. Forte is also a great looking character, brought to life through some cool effects, and just an awesome design. 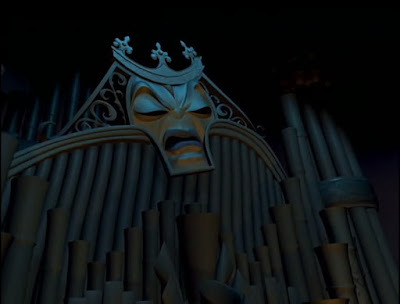 He may be a one dimensional character, but count on Tim Curry to liven him up and make him a memorable Disney villain in his own simplistic way. This is the 1970’s cult classic musical that launched Tim Curry’s carrier, so naturally it had to make my list. “It’s not easy to have a good time”, but it certainly isn’t boring when this flamboyant performer is your over night host. Curry’s portrayal of the proclaimed sweet transvestite from Transsexual Transylvania is a perfect example of how talented, unpredictable and off the wall crazy he could be as an actor. His musical number “I’m Just a Sweet Transvestite” has also become a classic villain song, and one of the actors most unforgettable moments. While I’ve never been a fan of this film, Dr. Frank-N-Further is still a highlight performance in Tim’s carrier and probably the character he’s most associated with. 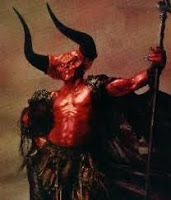 Tim Curry as the devil ... that’s about as dark and evil as villains get, but count on Curry to liven it up with his unmistakable devilish charm. In this underrated 80’s fantasy adventure, Tim Curry plays a demonic over lord who aims to kill a Unicorn in order to rule a magical Kingdome. 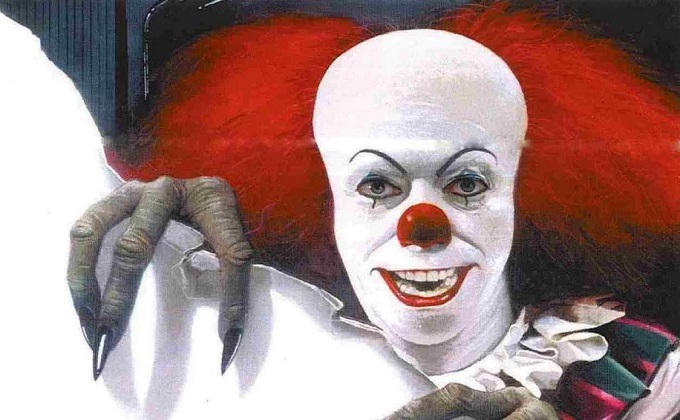 Actually, despite his massive, larger than life monster makeup, Tim Curry actually delivers a subtly menacing performance that isn’t quite as bombastic as some of his other roles. He’s still over the top, but with just enough subdued creepy moments to balance out. While his design is as devilish looking as they get with massive horns and some awesome makeup ... he isn’t the actual devil. He’s more like an evil monster with demonic features. 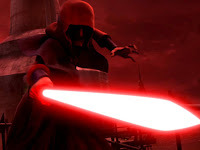 This is most evident in the fact that he falls for some of the traditional human villain tropes, and even falls in love with the films beautiful princess. Well, Tim Curry can still act through his pounds of demonic makeup and deliver a juicy, yet menacing performance. It’s one of the scarier villains in his gallery, but still every bit as entertaining as his characters get. 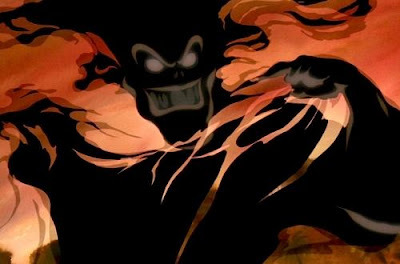 In this little animated gem from the 90’s, Tim Curry voices a smoky entity called Hexxus, which feeds on pollution, and aims to level a magical rainforest to splinters. While the character is just as hammy as his other villains, especially during his “Toxic Love” musical number, Hexxus actually manages to stand tall as a plain awesome antagonist. His design was great, and Tim Curry’s vocal talents have never been more sensational then this, as he supplied the villain with a voice that ranged from deep and menacing to flamboyant and silly. While Tim Curry has supplied the voice’s of countless animated villains, Hexxus will always stand out as one of the actors most memorable characters. Okay ... so he really isn’t a bad guy in this film, but he is a nuisance to our young protagonist, and this is a personal favorite that I just had to include. 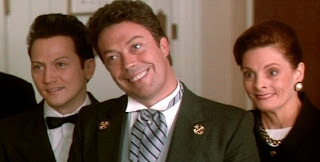 While I had seen a lot of films and cartoons that featured Tim Curry, I always looked at “Home Alone 2: Lost in New York” as the movie that really introduced me to him. This is the film that allowed me to put a face to the actor. Even though he has a small part as a hotel manager that’s irritated by the films young hero staying there, he still steels every scene he’s in and manages to be the highlight of this mostly subpar sequel. My favorite scene is when Macaulay Culkin is watching the animated cartoon of “How the Grinch Stole Christmas” on TV, and right when the Grinch gives his trademark evil smile it dissolves into the face of Tim Curry giving an evil grin. That in a nut-shell is one of the actors shining moments, and one of the many entertaining scenes in which Tim Curry saved this film from being a complete waist. 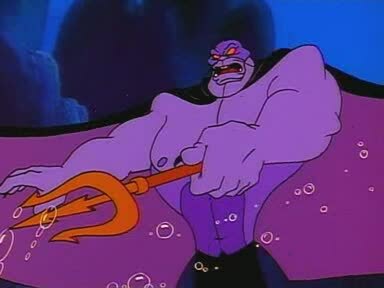 Throughout the 90’s Tim Curry voiced several villains in animated Disney cartoons like The Evil Manta in “The Little Mermaid”, Taurus Bulba in “Darkwing Duck” and Lord Dragaunus in “Mighty Ducks”. 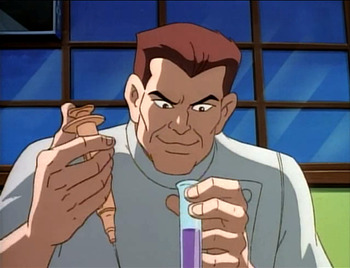 My personal favorite by far is the mad doctor Sevarius from Disney’s “Gargoyles” TV series. 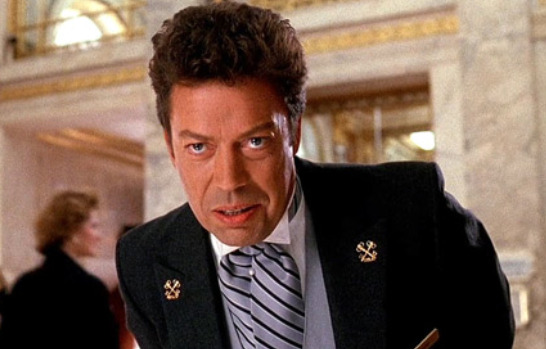 Talk about ideal casting, it’s Tim Curry as the voice of a clichéd yet classy evil scientist, and yes, he hams it up with all the theatrics you’d expect him to apply to this kind of wicked archetype. 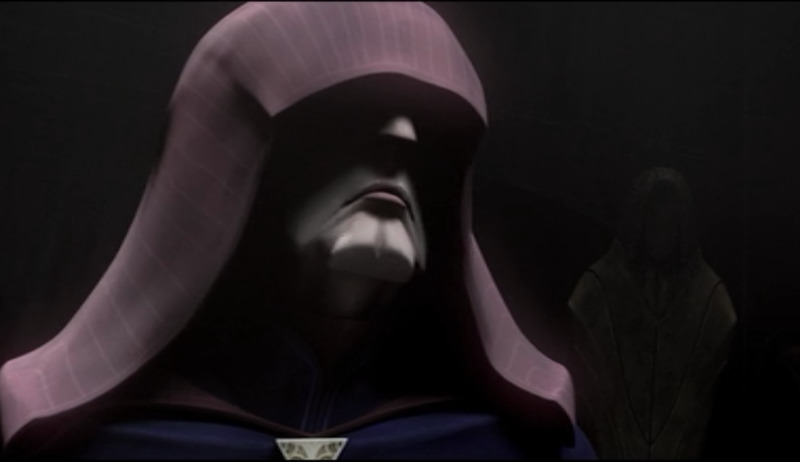 Not much else to say here, just a consistently entertaining performance from an overly animated evil doctor. 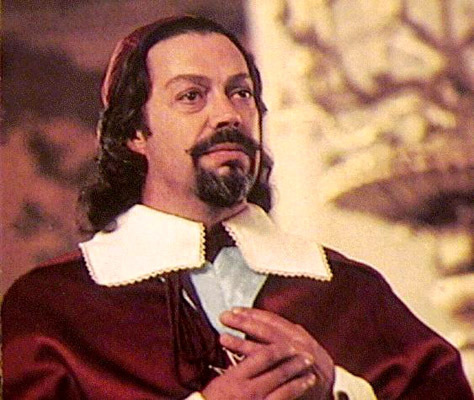 Now where talking, it’s Tim Curry as the evil cardinal from the 1993 action adventure “The Three Musketeers”. The movie itself is one of those cheesy yet very enjoyable products from the 90’s, and by far it’s the villain who steals the show. Seriously, this is one of Tim Curry’s Juiciest villain roles. It’s one of those bad guys that’s sophisticated, devilish, comedic and entertaining all at once. He has that wicked smirk, he looks slimy, he’s got that nasty chuckle, he stretches his vowels, he raises his voice, and it’s just every over the top villain stereotype rolled into one enjoyable package. In the past, Tim Curry supplied the voice of Captain Hook in the TV series “Peter Pan and the Pirates”, and proved to be the ideal actor for the role of a pirate, but in “The Muppet’s Treasure Island” he really got to shine as the famous Long John Silver. 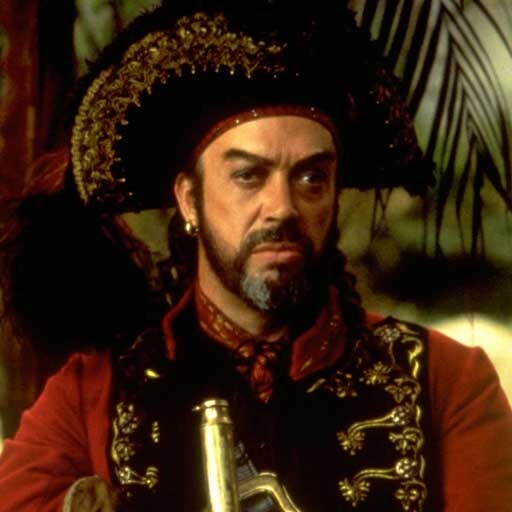 Whenever I think of Tim Curry without monster make up, I always think of him first in a pirate costume. His portrayal of the iconic pirate gave him the chance to shine with just about every one of his talents. He was just as vivacious as ever and clearly having a ball while playing the character, but he wasn’t without some humanity, as the character from the novel should have. It’s not easy to steal the show from Kermit the Frog and his charismatic Muppet crew, but count on Tim Curry to pull it off with ease, probably because he already seems like a living Muppet himself. Evil Manta – "The Little Mermaid"
Captain Hook – "Peter Pan and the Pirates"
Yeah, you guessed it, of all the great villain performances in Tim Curry’s carrier, nothing was more unforgettable than his portrayal of Pennywise the killer clown from the TV movie “IT!”, based on the Stephen King novel of the same title. Clowns in geranial have always been scary, but it’s this supernatural, shape-shifting, razor toothed monster that’s the stuff of nightmares. In all seriousness, Pennywise is actually one of the funniest villains I ever seen, and Tim Curry is clearly having the time of his life in the role. That’s the beauty of this character, he can be terrifying and hilarious all at once, making him the perfect villain for curry to bring to life. He’s got that creepy voice, the high pitched laugh, and an incredibly hammy personality to boot. 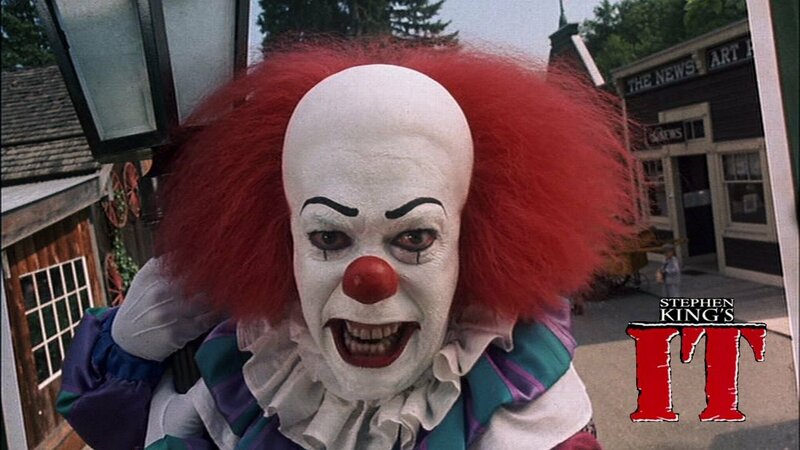 What else can I say, Pennywise the clown is one of my favorite horror movie villains of all time and the immortal staple of Tim Curry’s vileness talents. I'll have to check that one out, thanks for bringing it to my attention.